Since it finally has a proper backplate, re-posting my K6-2 Voodoo/SLI system. Away on holiday for New Year, brought my (trans)portable retro gaming rig. That Sound Canvas PCMCIA card is a nice touch. 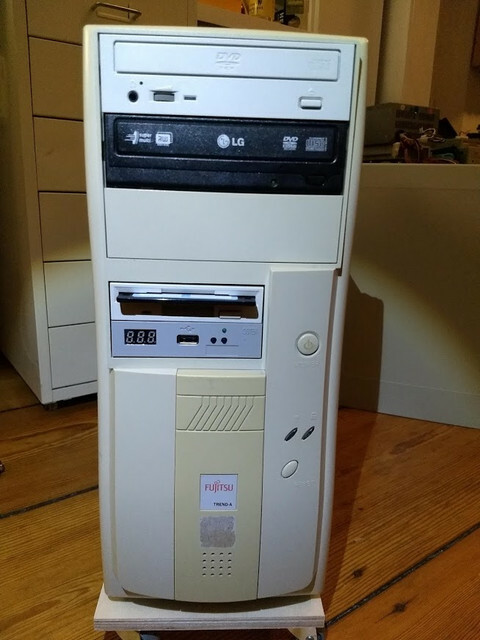 It's a 370C with a Dock I. DX4/75 with 20MB, Colour TFT, CF hard disk, SB16 in the dock with a SCSI CDROM. Last edited by bjt on 2018-12-31 @ 19:43, edited 1 time in total. That is one decked out laptop. 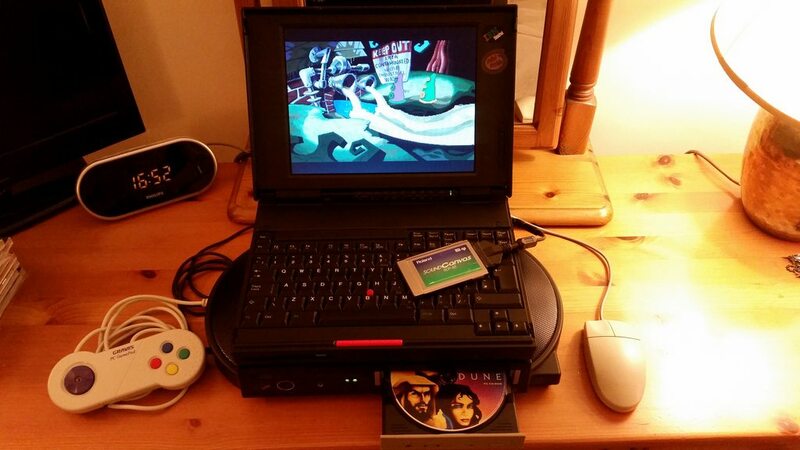 bjt wrote: Away on holiday for New Year, brought my (trans)portable retro gaming rig. I own a new (or almost new) TP 380E, only needs a new clock and backup battery. It has a DSTN screen, but I have a couple Toshiba's that are more suitable for gaming. My plan is to restore all my laptops to fully working condition this year. meljor wrote: I don't see Skeletor? Purple tentacle is an evern bigger threat. Purple Tentacle is an acceptable substitute. This is my first real post in this forum, although I have been a reader for a while. Today I finished my first retro rig! Most parts I got cheap on eBay, some I had l lying around. I would have gone with a Pentium III but I just got this motherboard together with the processor dirt cheap. 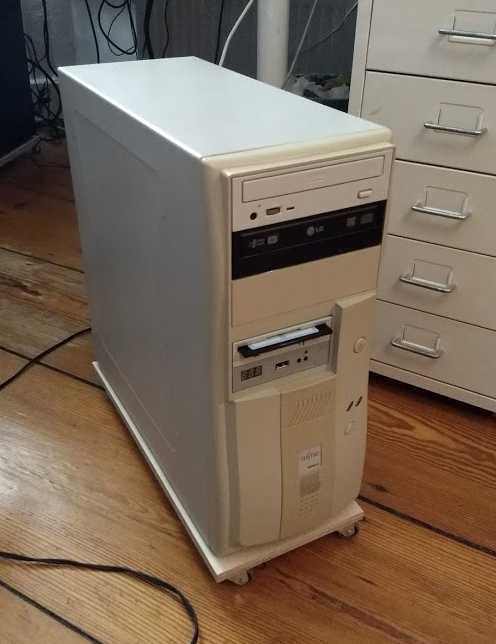 Unfortunately the PSU fan speeds up and gets very loud as soon as I start 3D hardware accelerated games like Jedi Knight or Unreal Gold (the only two I tested so far actually). 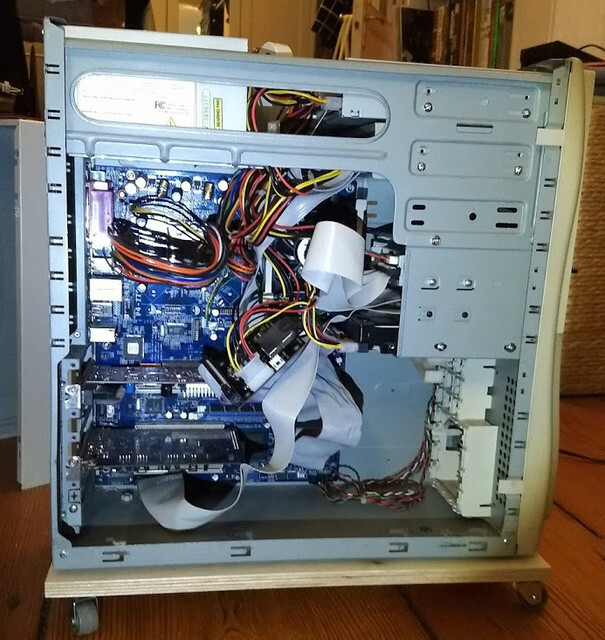 I wouldn't have thought that the PSU would get under that much load with this setup. This is really annoying. Any tips? 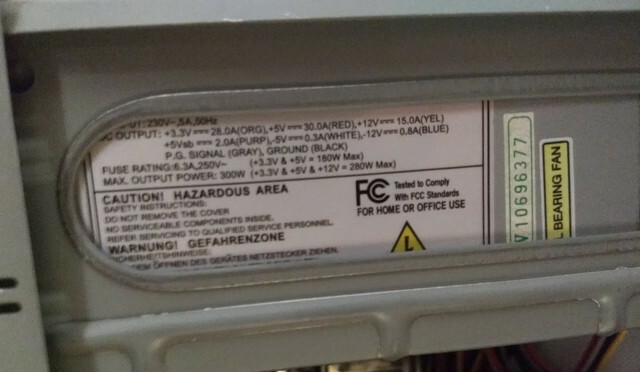 Will a better PSU resolve the issue? Otherwise I'm quite happy and I especially like how the case looks. I'm not that happy with the SD to IDE converter just dangling there. But so far I haven't found a good way to secure it. Maybe I'll switch it for one of those CF-IDE brackets. PcBytes wrote: 2. Where's the heatsink? I thought this too at first, but it turns out that motherboard has a really weird layout; there is an Intel s478 stock cooler hiding underneath that snarl of cables just behind the FDD. Really, with that in mind, it's not surprising at all the PSU fan apparently gets loud at load, even considering that OP didn't tell us which P4 they're using. I don't see any case fans in there, either, so naturally it's up to the PSU fan to exhaust all that Netburst heat. Last edited by SW-SSG on 2019-1-13 @ 19:59, edited 1 time in total. The heat sink is on the right. This is one of those weird double socket boards and my processor is in the right socket. The left one is empty. StrangeD0s wrote: Wow, how can you tell they are bad from this blurry photo? Simple, I can notice the different reflection on those two as opposed to all other caps. ASRock boards from that era tend to develop bad caps quite a lot. SW-SSG wrote: Really, with that in mind, it's not surprising at all the PSU fan apparently gets loud at load, even considering that OP didn't tell us which P4 they're using. I don't see any case fans in there, either, so naturally it's up to the PSU fan to exhaust all that Netburst heat. The CPU is an Intel Pentium 4 3.00GHz. Yes, adding some fans seems like a good idea . I just tested the same games with the case open, thus letting more cool air get to the parts. This brought some relief already. So... is it worth to change the caps or better just through the whole board out? I am quite handy with a soldering iron.